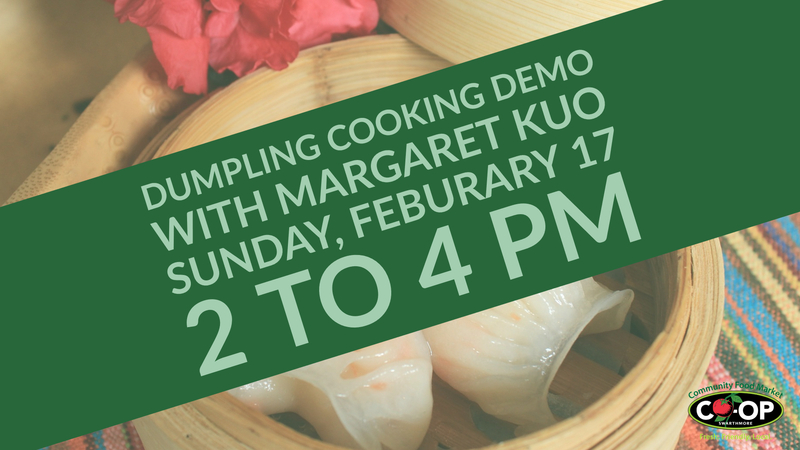 Join James Beard Foundation Featured Chef, and renowned Delaware Valley businesswoman and entrepreneur, Margaret Kuo, for a dumpling demo and tasting at the Swarthmore CO-OP. Also active in community affairs, business and service groups, Mrs. Kuo’s many honors include the March of Dimes Business Service Award, the Philadelphia Journal Award for Outstanding Women in Business, and being named to the list of Pennsylvania’s 50 Best Women in Business for 1999. ALL SALES ARE FINALS. NO REFUNDS WILL BE ISSUED.